We arrived at Barry Park in Lynn a little worried about the match even happening. There hardly seemed to be soccer lines anywhere in between the baseball diamonds; the goals were off the side near a fence and the home team was no where to be found. A referee showed up and assured us it was the right place, and I called the other manager to confirm. After warming up as a team we finally started the match about 17 minutes late. FC I only had 6-7 guys eligible to play, so another 5 or so sat on the sideline until 2 minutes before the half when someone showed up with their newer roster allowing them to field a full 11. Despite being outnumbered by nearly double FC I held a strong defensive line and forced our frontline to be called offside again and again. We managed to break through and get 3 goals in the first half. The second half began with FC I at full strength and BCS XI wanting to make sure we didn't get complacent with our lead, knowing they'd have fresh legs and a renewed will. They got 1 goal back and looked like their energy was picking up for another. But just then Joe netted his second of the game putting us up 4-1 and thoroughly deflated their attack. We had a couple more breakaway goals to really put the game truly out of reach. Joe finished with a hattrick, Steve I. netted a brace, Erhan curled in an incredible free kick, and Sam got off the back line to slot a smooth one past the keeper. Clearly the scoreline was padded by the opposition struggling to field the full 11. However, despite exhibiting some speed and clever ball handling, the result likely would have remained the same with both teams at full strength. 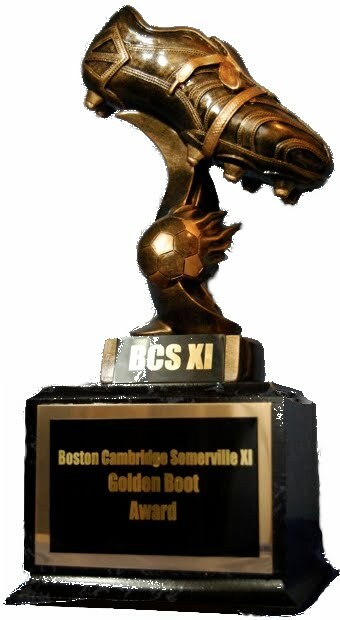 Great job BCS XI, it's nice to have our first win, and a decent goal differential too go with it.